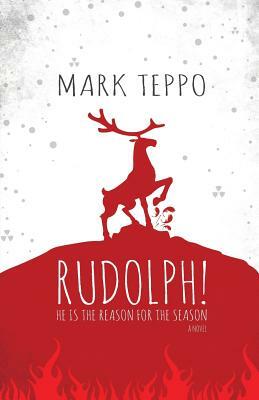 Rudolph is a first-person account of the behind-the-scenes workings at the North Pole. Narrated by Bernard Rosewood, one of the elves of the North Pole Consortium, the story begins with Santa's realization that a young girl's request to get her dad back for Christmas isn't going to happen. Dad, you see, died in a car accident on a snowy road shortly after Thanksgiving. The NPC can do a lot, but they can't do miracles. Enter Rudolph, who has been hairless, cranky, and perpetually irradiated since the unfortunate malfunction of the Nuclear Clock in 1964. Rudolph is a survivor of the worst accident in the 400-plus years of NPC delivery, and if there is anyone on staff who believes in miracles more than jolly Saint Nick, it's Rudolph. Bernie, in a valiant effort to keep Christmas from going off the rails, is swept up into a Heaven-storming, Hell-crusading, Night of Bad Musical Numbers adventure to ensure that every child wakes up with presents on Christmas morning. Rudolph is a funny and fast-paced reaction to 40 years of world-weary cynicism, technological advances, and post-millennial ennui since Rankin/Bass brought a stop motion reindeer into our living rooms.